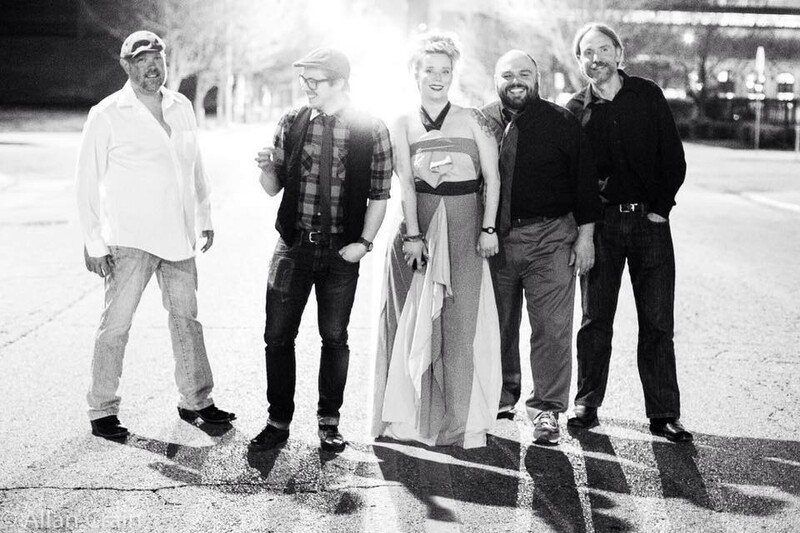 Catch Middle Class Fashion at this year's RFT Music Showcase taking place in the Grove on June 16. 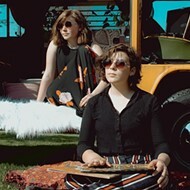 Led by keyboardist and singer Ellen Cook, Endora fuses weird and warped orchestral sounds — it's got a cello and a mandolin, and it's not afraid to use them — with clattering garage-rock ala the Cramps. That clash of styles shouldn't work; in fact, it shouldn't even be theoretically possible. But with Cook's playful sense of melodies and lyrics, as if she's channeling a punk-rock cabaret, and a skewed, collective sense of musicianship with plenty of chops and a love of dangerous collisions, Endora has figured out how to sound like absolutely no one else in town. It took a six-year semi-hiatus for Alton, Illinois, trio Hope and Therapy to come out with new music. But when Webs dropped earlier this year, the band’s rhythmically complex, keyboard-driven songs were a breath of fresh air from a group that was off the radar far too long. Hope Gaines leads the band with dark, entrancing vocals and smartly retro keyboard sounds while bassist Dan Deck and drummer Drew Mader erect a sturdy, nuanced rhythmic base. "We're big on dynamics," Mader told the RFT earlier this year. "We play it harder, then we play a little mellow and then we hit it hard again.” Webs’ opening track “Former Future” lays out the band’s talent at deploying elements of brutality and lushness in equal measure. Initially describing her group as a “piano pop” band, Middle Class Fashion lead singer/keyboardist Jenn Malzone has slowly been moving past her early Ben Folds-like melodies to explore the darkness lurking not far beneath. This was evident on 2014's Jungle, which balanced out its sunny melodies with sparser synth-driven tracks like “Golden Rose.” On iii, the group's latest, we don't even hear a piano until the third-to-last song. Instead, there's a stripped-down sound with raw keyboards, drum machines and a moody-yet-melodic feel. It's as if the band called in Sparks to produce. What remains constant is Malzone's ever-evolving songcraft and memorable turns of phrase. It's been fascinating watching Middle Class Fashion refine its sound over the past half-decade, and iii is the biggest payoff yet. Grant a bit of mercy to Scarlet Tanager, whose members have been doing their best to live down the "most adorable new band" tag they received from this publication five years ago. Since then they've continued to make absolutely joyous, communal music. 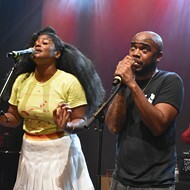 The group titled its latest album Let's Love, a sentiment that applies as much to its relationship with its audience as to its connection to melody, group vocals, subtle studio-craft, clapping, stomping and glockenspiel. Oh, and howling electric guitar, when the mood strikes. Scarlet Tanager may still make fetching indie pop, but its cute, twee days are now squarely in the rearview mirror. Power-pop is a tricky genre to get right, but Brian McClelland has it down. He proved this in the Maxtone Four, in Tight Pants Syndrome and (until recently) as Middle Class Fashion's bassist. His latest band, Whoa Thunder, began largely as a studio project. The debut CD, You're Under Attack, is full of lethally catchy melodies. Songs like “Are You Ready Yet” and “Real Cool Hand” have a slight new wave/electro tinge, with robotic voices giving way to glorious melodic choruses. 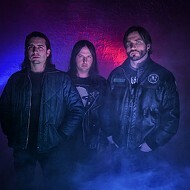 Yet there's a dark undertone to it all; it takes awhile before you realize how bitter “Knockdown Dragout” is, or how gory the lyrics are to the otherwise upbeat “Everybody Keeps Moving.” Now a seasoned live band, Whoa Thunder has been introducing new songs into the act and is working toward a second album.